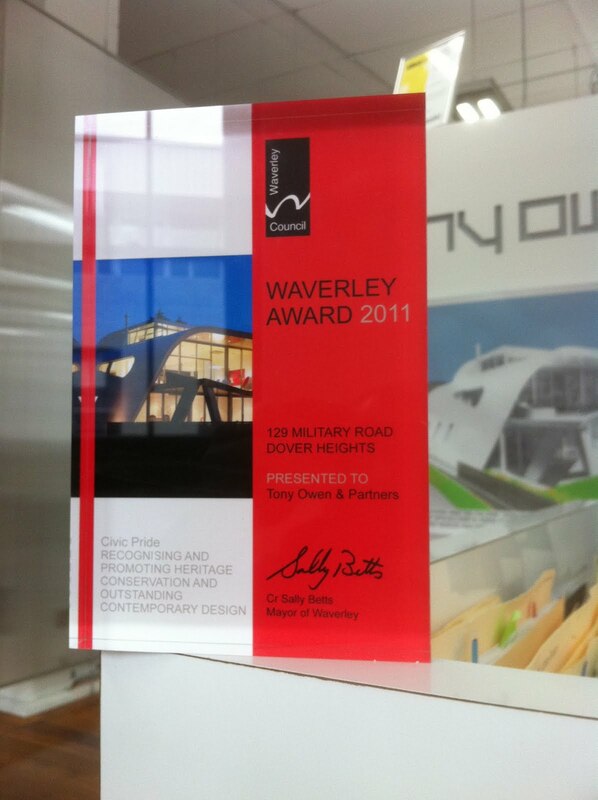 The Moebius House has won the Waverley design excellence awards. The other major winner was prominent Sydney architect Luigi Rosselli. 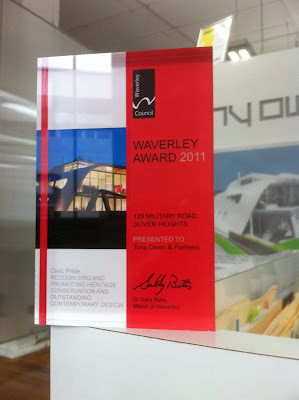 The awards were presented at a gala event at Bondi Pavillion with Tone Wheller as Jury chair. In other news, Boston University student housing has been shortlisted for the Australian Institute of Architects awards for residential architecture.